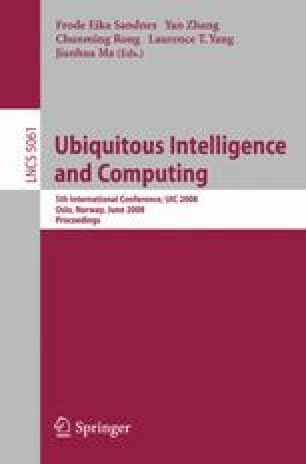 Fuzzy inference has been proven a candidate technology for context recognition systems. In comparison to probability theory, its advantage is its more natural mapping of phenomena of the real world as context. This paper reports on our experience with building and using monolithic fuzzy-based systems (a TSK-FIS) to recognize real-world events and to classify these events into several categories. It will also report on some drawbacks of this approach that we have found. To overcome these drawbacks a novel concept is proposed in this paper. The concept incorporates fuzzy-based approaches with probabilistic methods, and separates the monolithic fuzzy-based system into several modules. The core advantage of the concept lays in the separation of detection complexity into distinct modules, each of them using fuzzy-based inference for context classification. Separation of detection functionality is supported by an automatic process using transition probabilities between context classifiers to optimize detection quality for the resulting detection system. This way our approach incorporates the advantages of fuzzy-based and probabilistic systems. This paper will show results of experiments of an existing system using a monolithic FIS approach, and reports on advantages when using a modular approach.